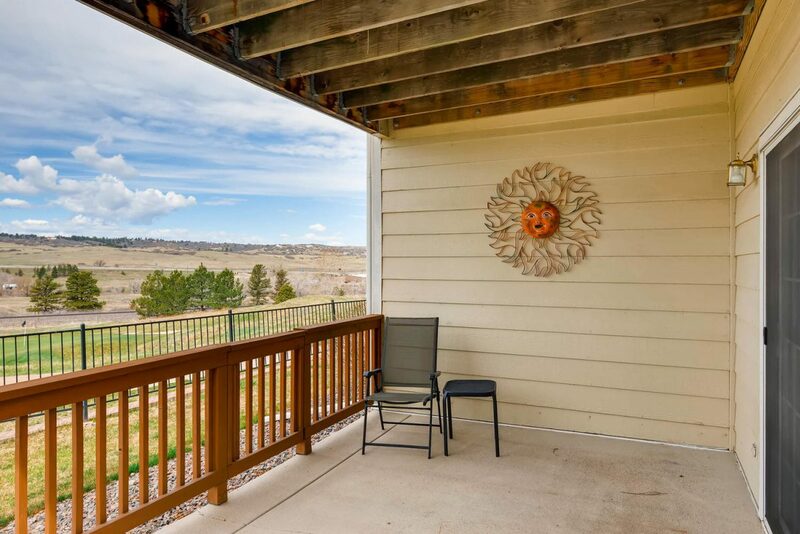 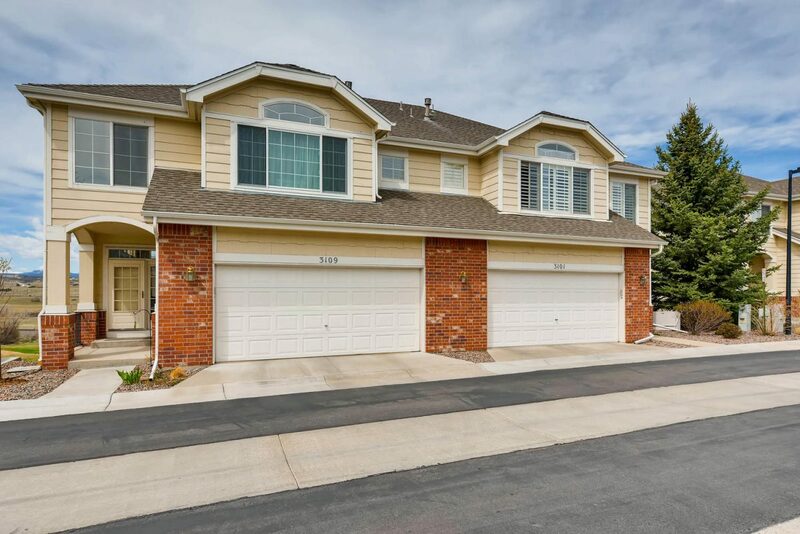 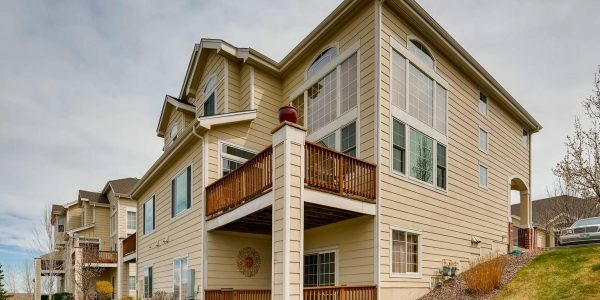 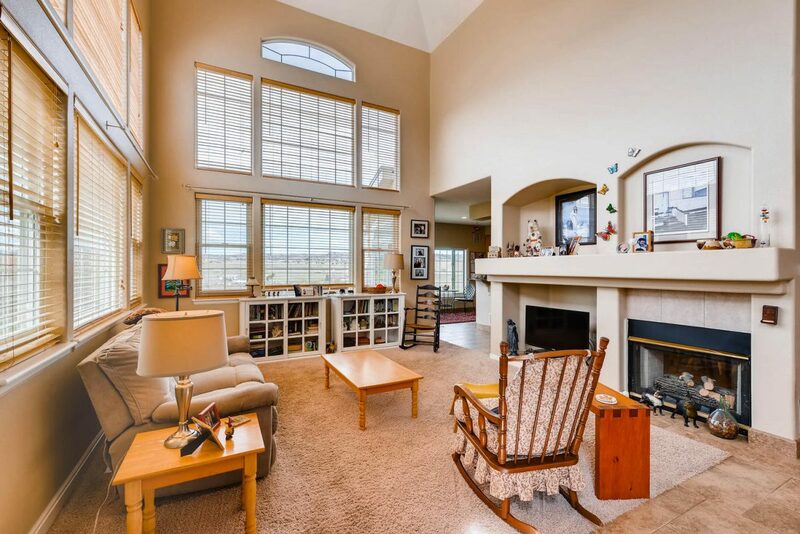 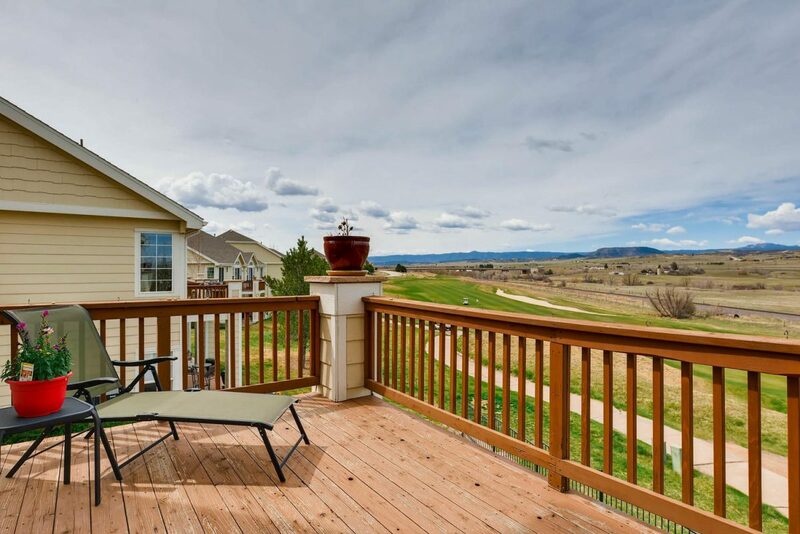 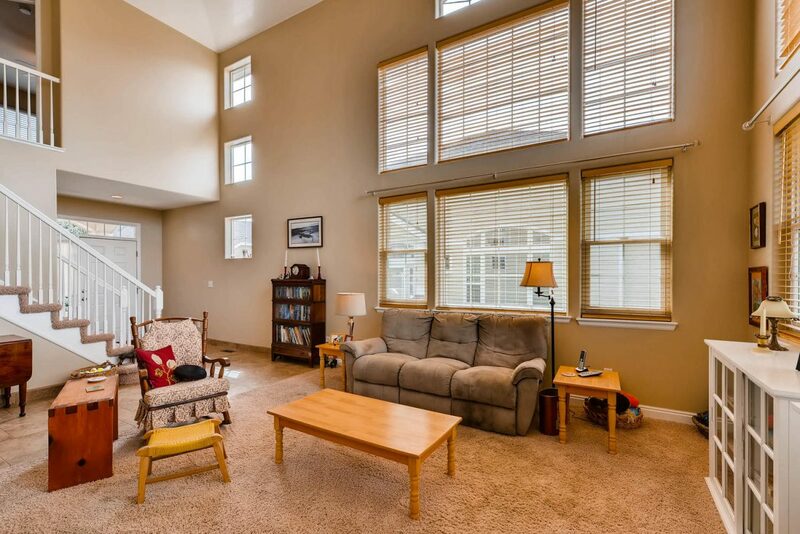 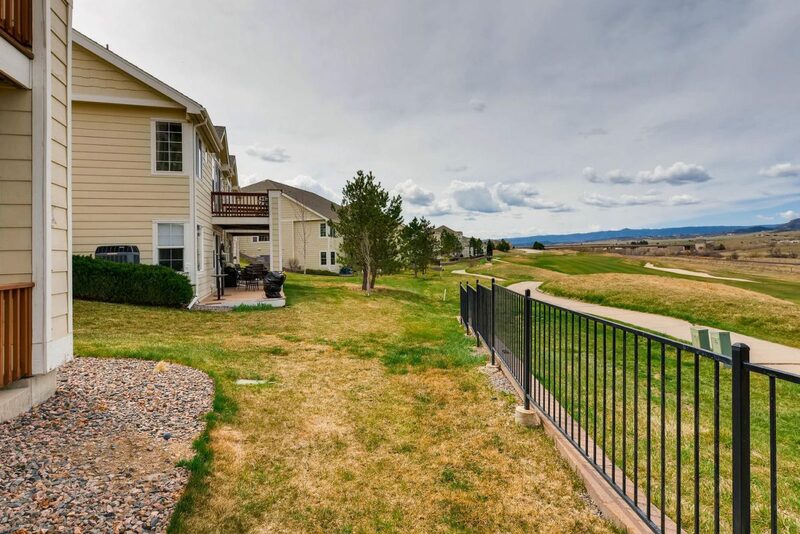 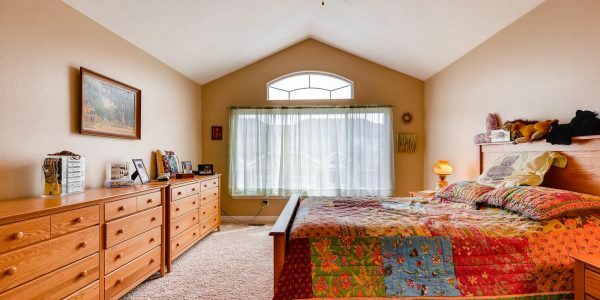 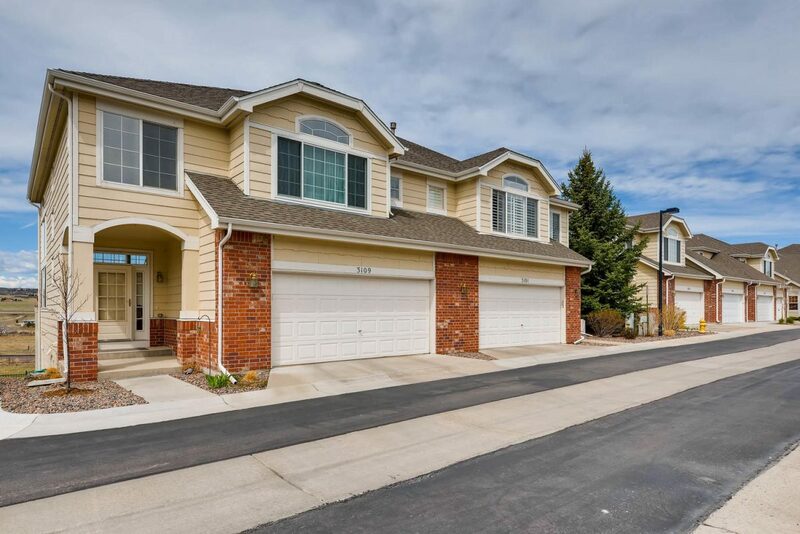 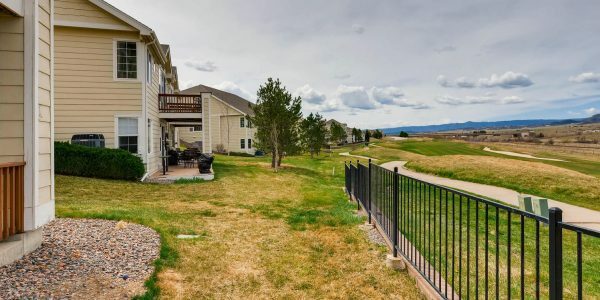 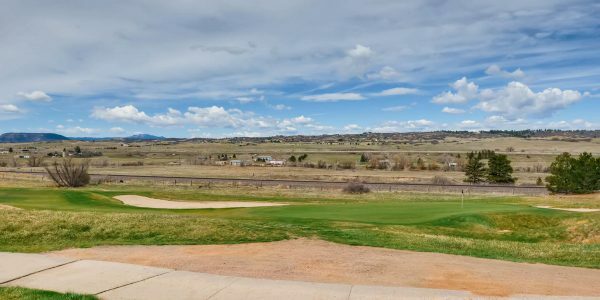 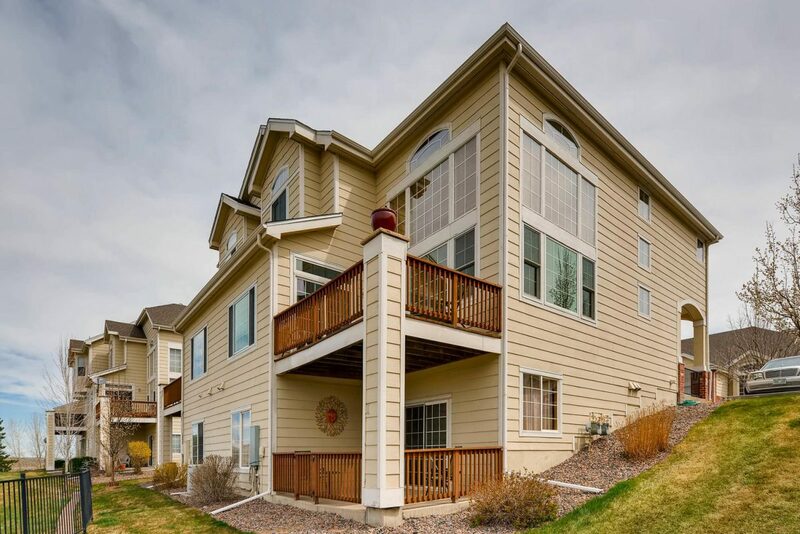 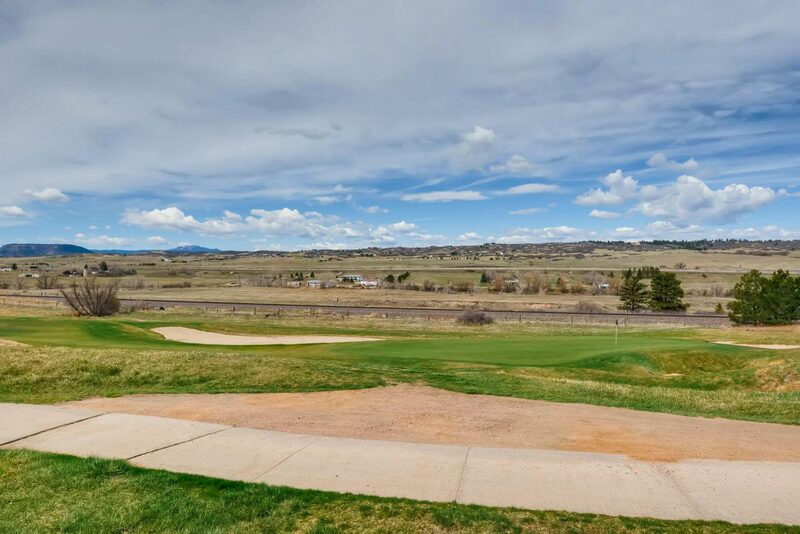 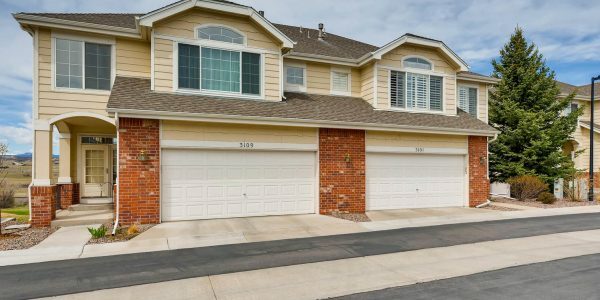 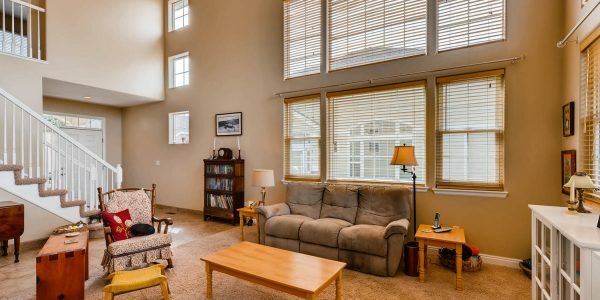 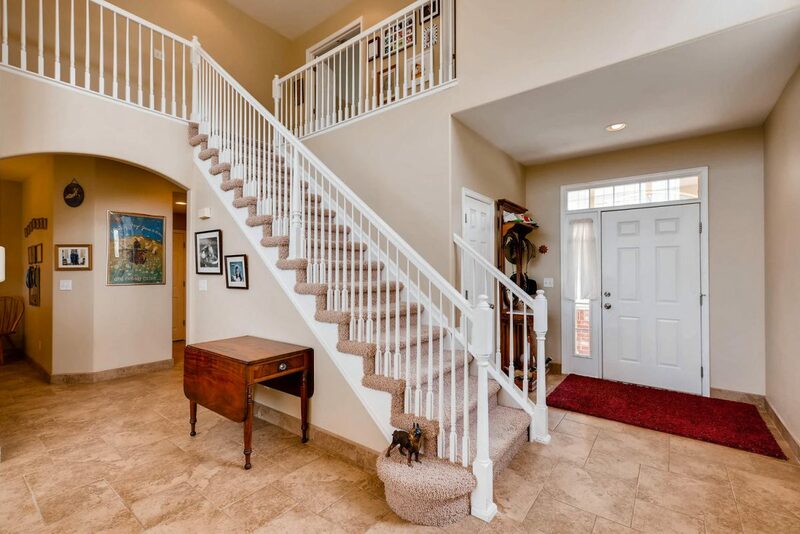 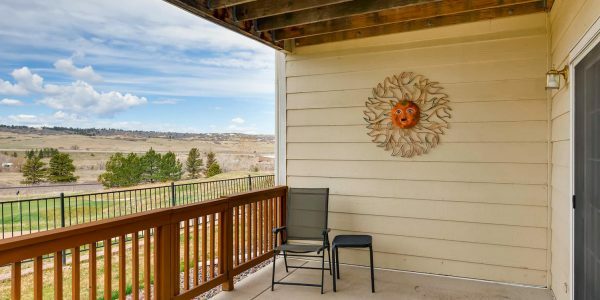 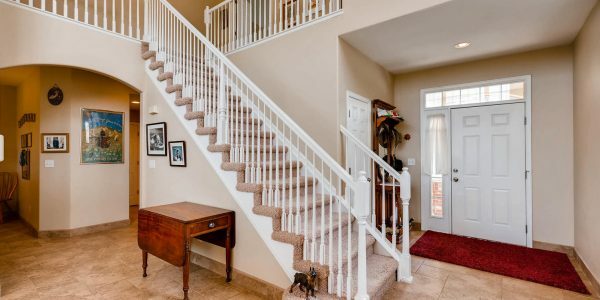 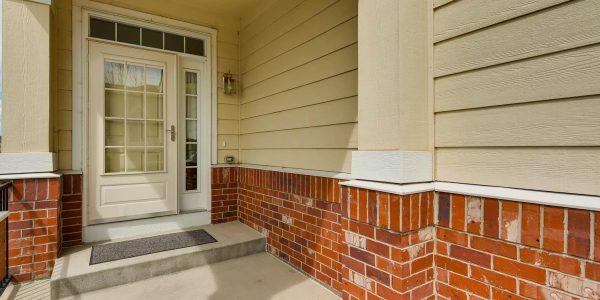 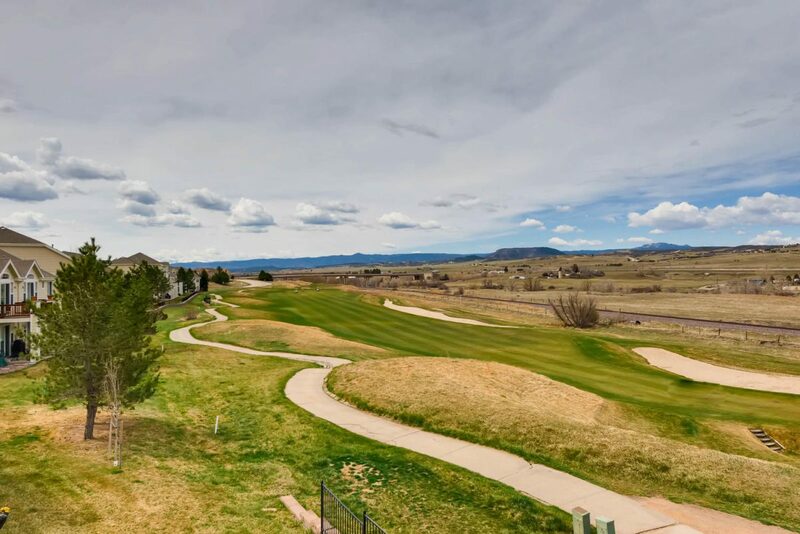 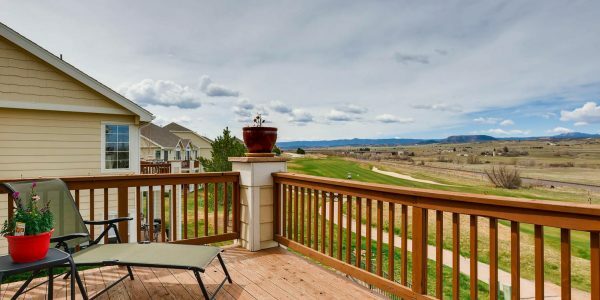 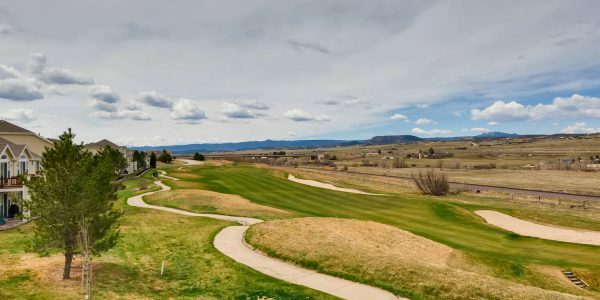 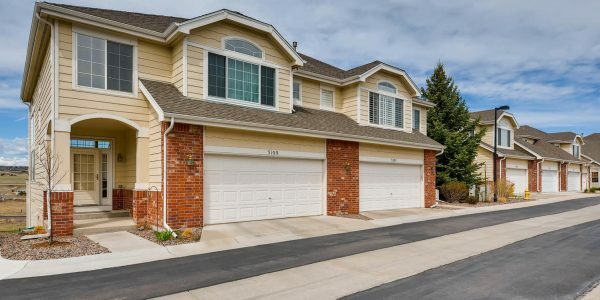 Dramatic 2-story home backing to Plum Creek Golf Course with spectacular views of the mountains and golf course. 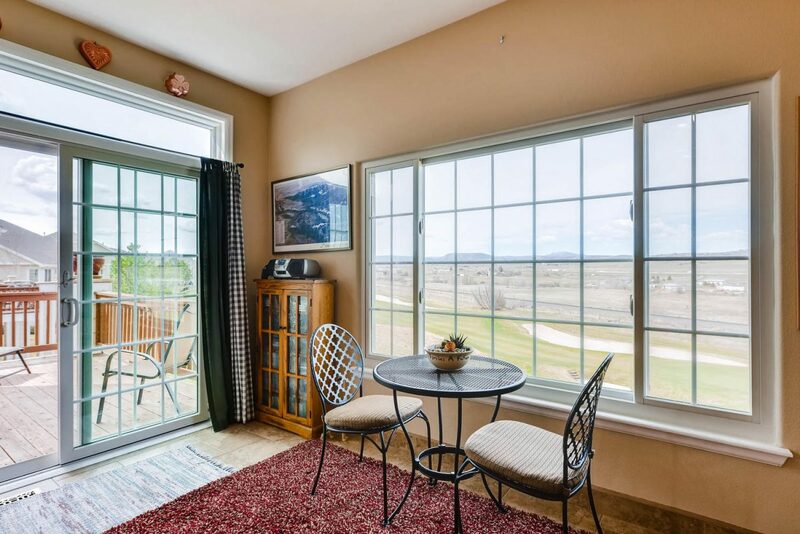 Natural light beams through the new Anderson windows throughout this wonderful home in St. Andrews at Plum Creek. 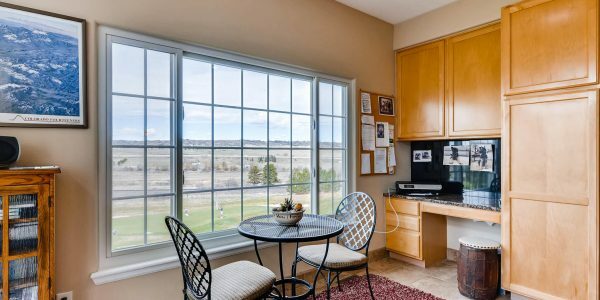 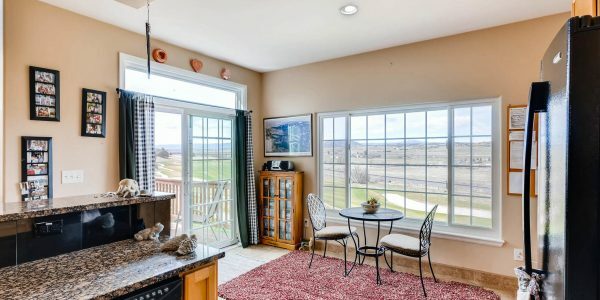 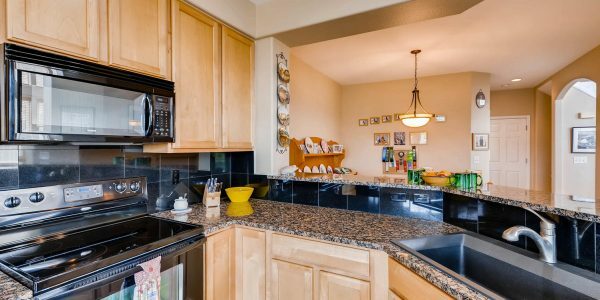 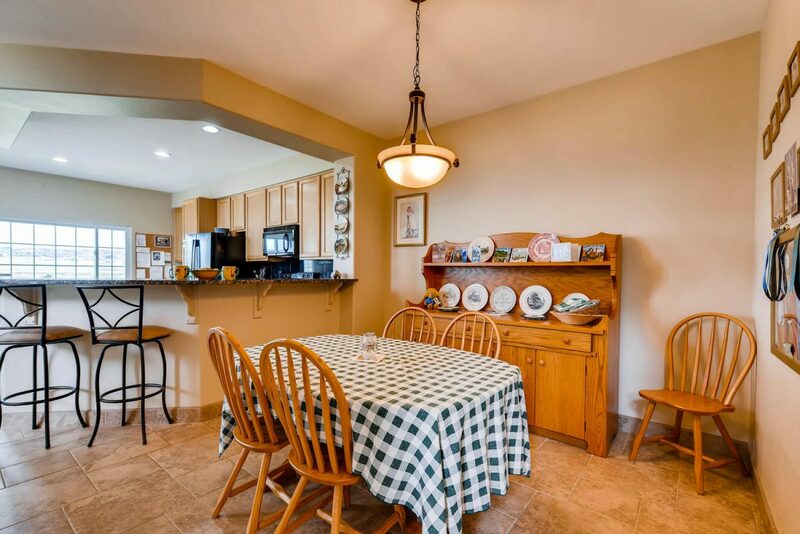 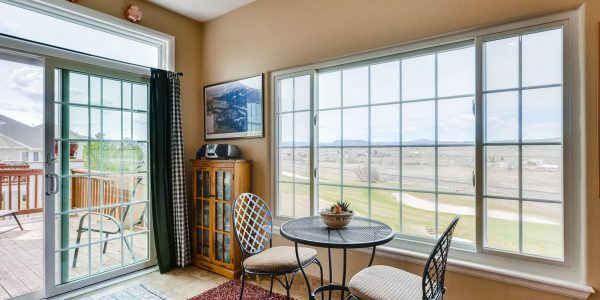 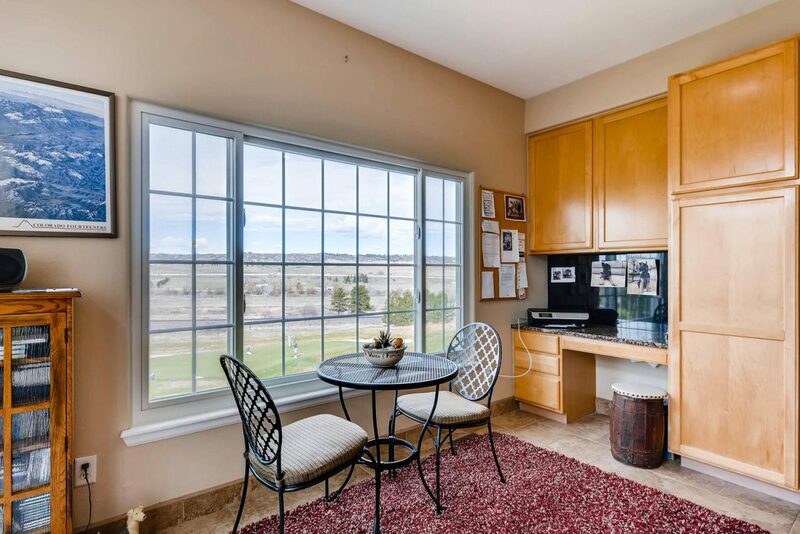 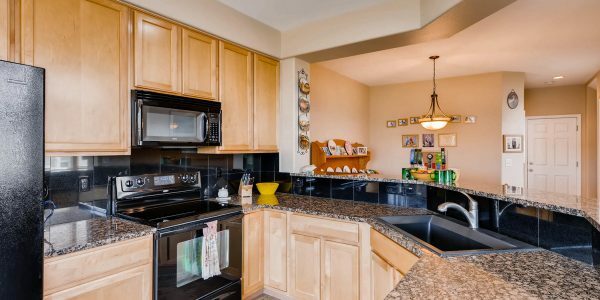 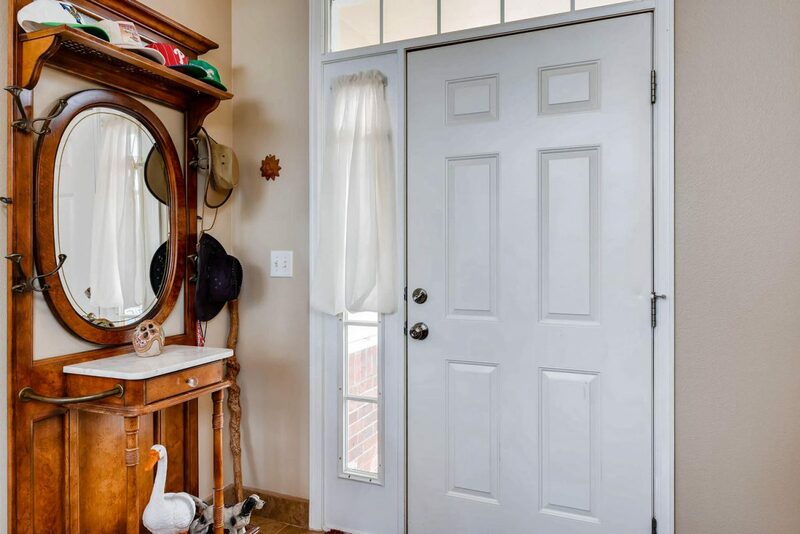 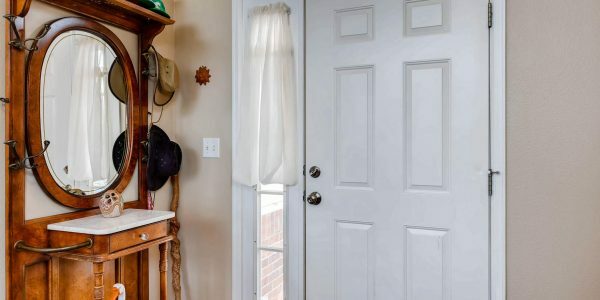 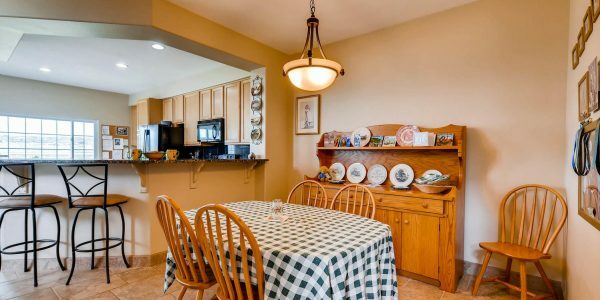 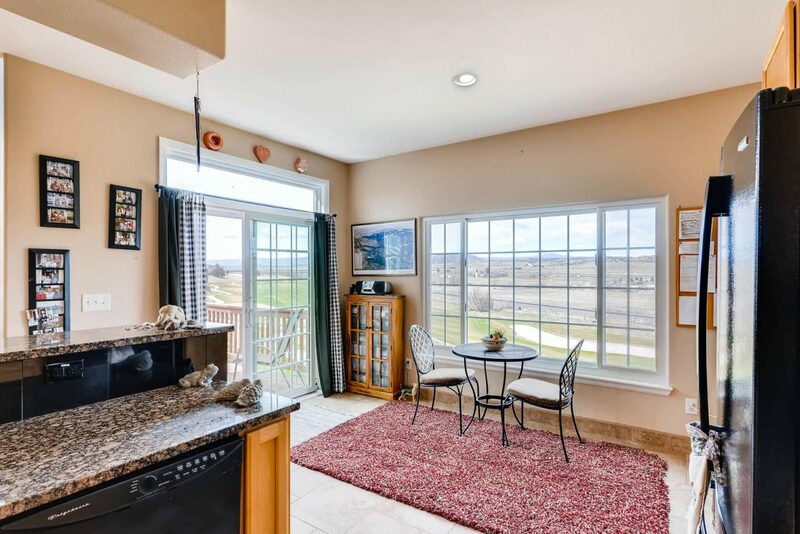 From your kitchen and dinette enjoy your morning coffee overlooking the 5th fairway and in the evening relax on the deck as the sun sets over the mountains. 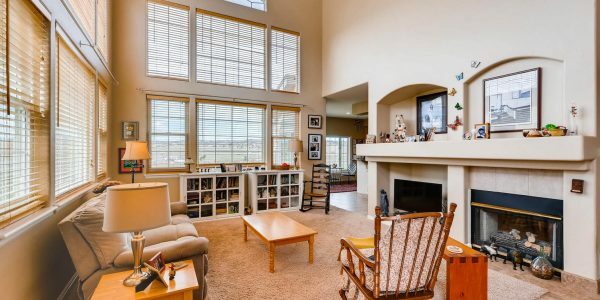 A spacious living room with impressive 2-story ceilings and an abundance of new windows to revel in the breathtaking views. 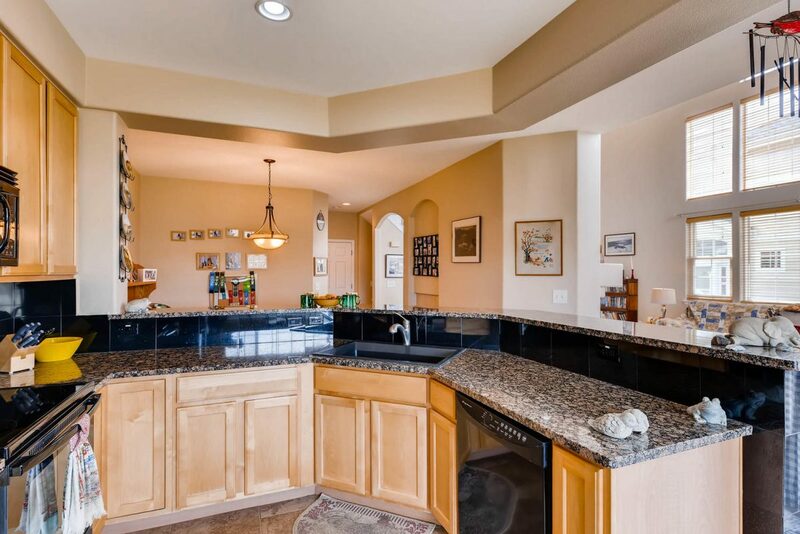 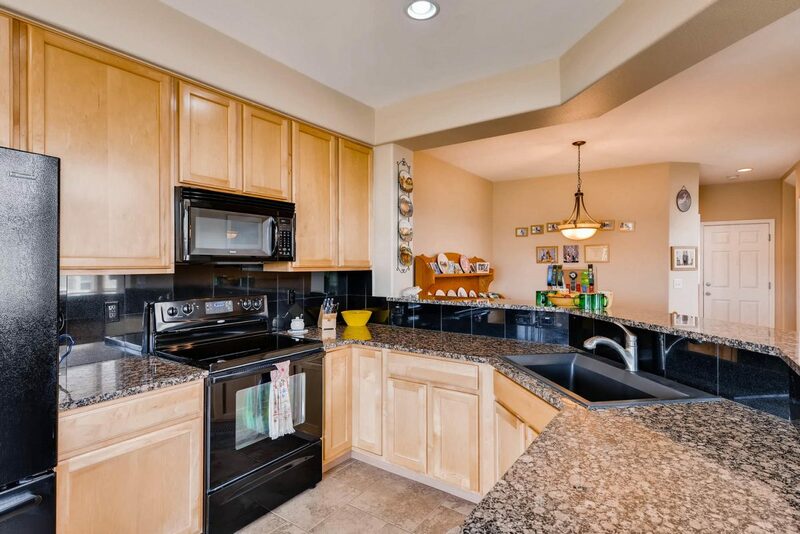 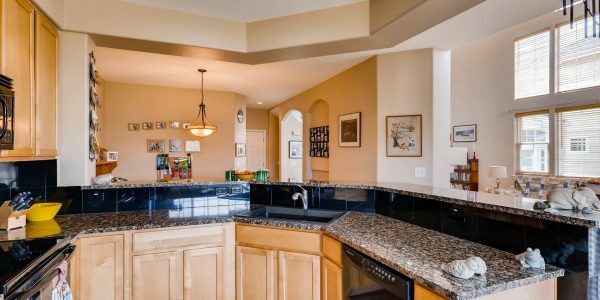 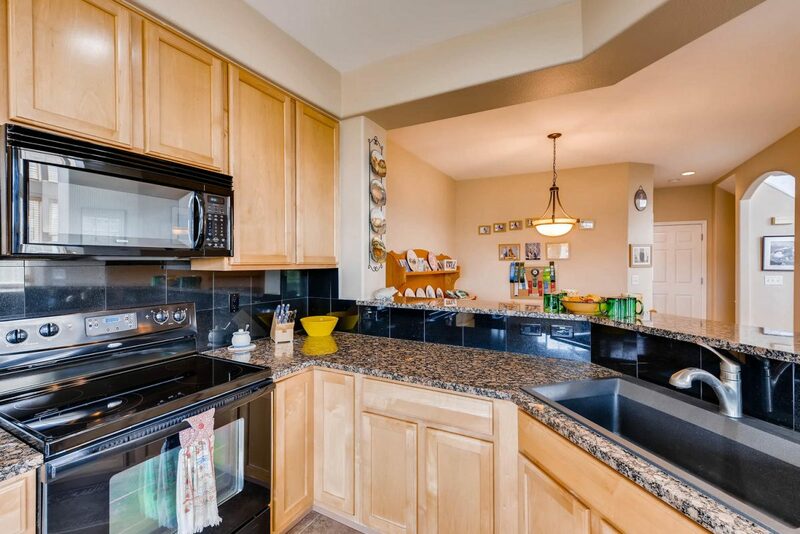 A large kitchen with granite counter tops, refrigerator, microwave and built-in desk. 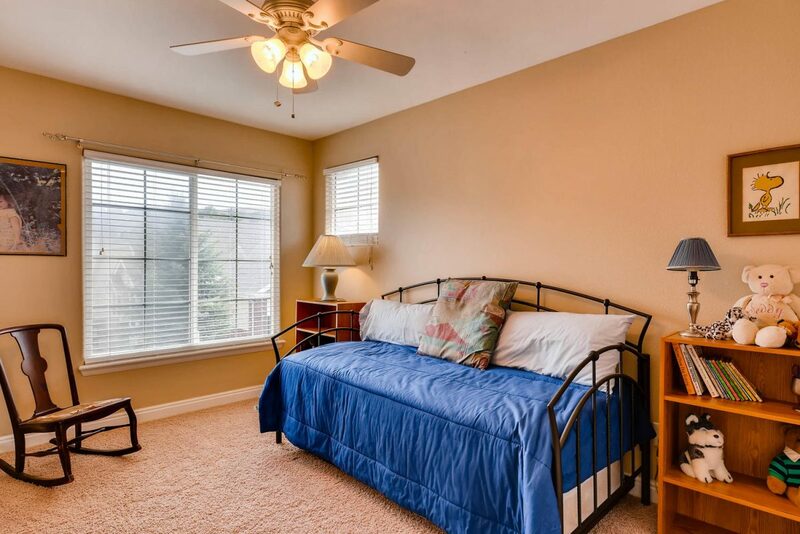 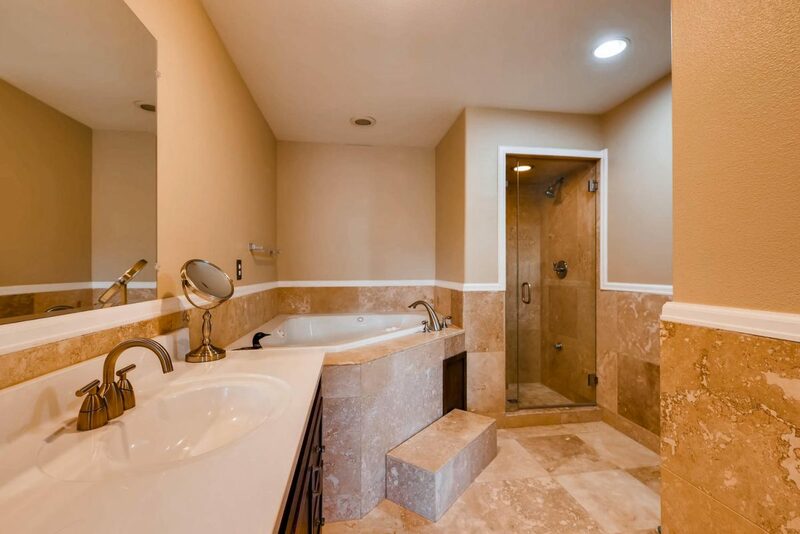 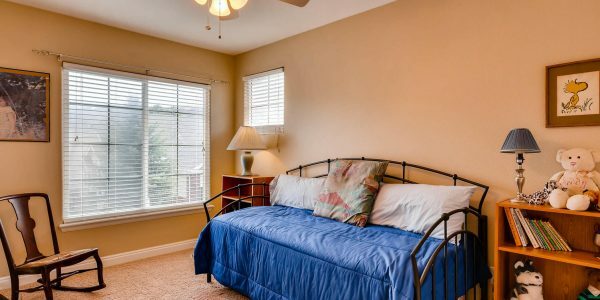 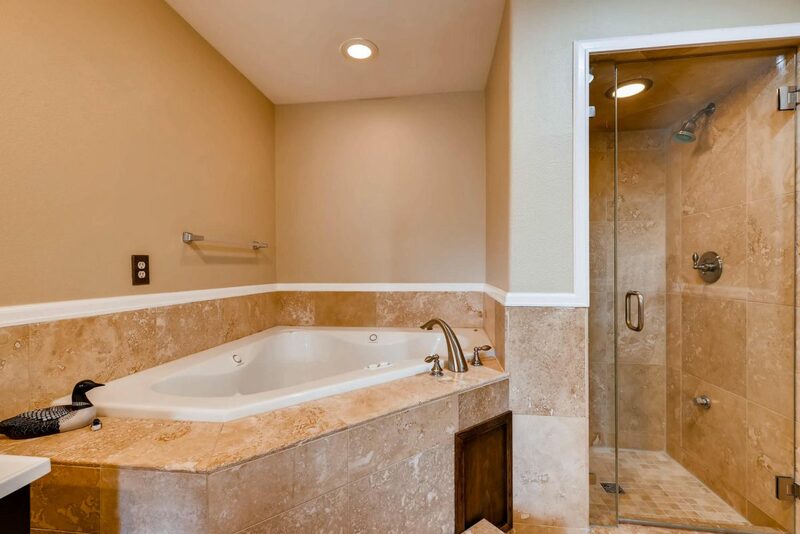 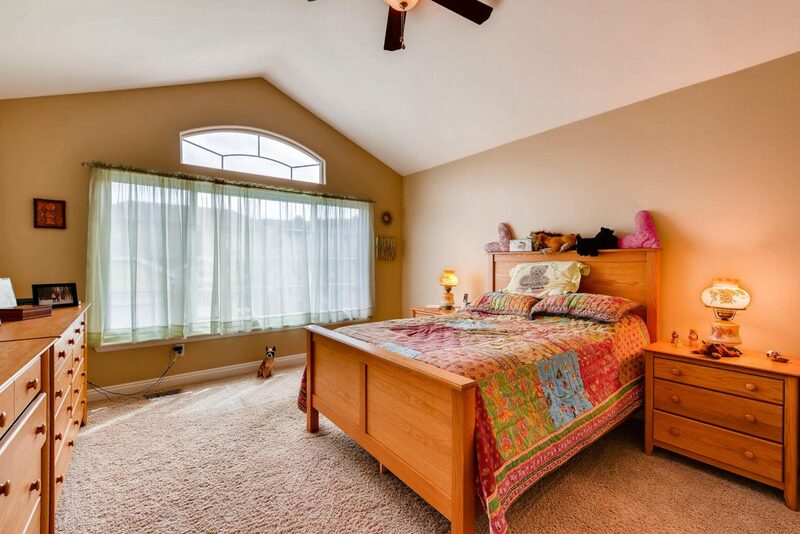 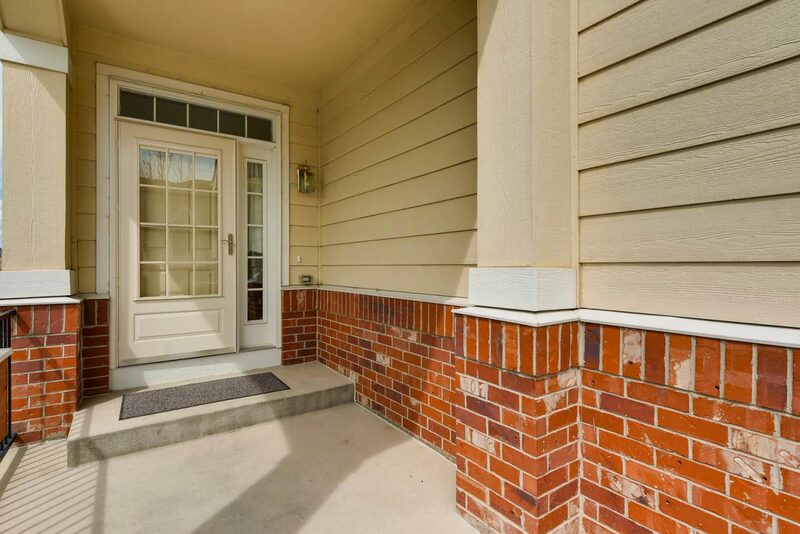 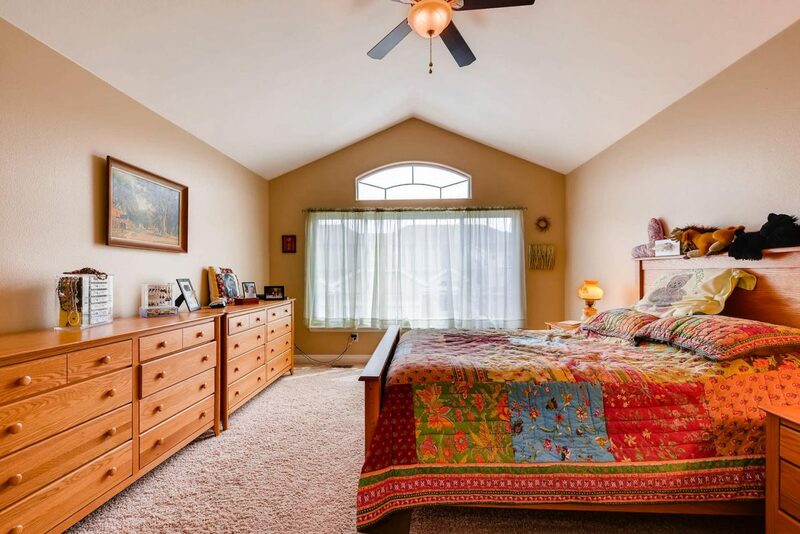 Upstairs the master bedroom has a double door entry, walk-in closet, custom tile, steam shower and jetted tub. 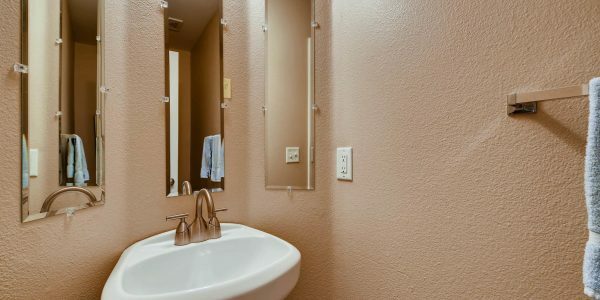 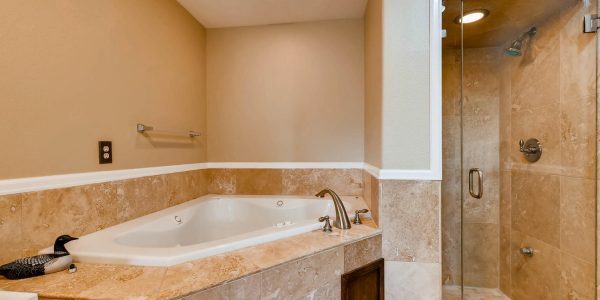 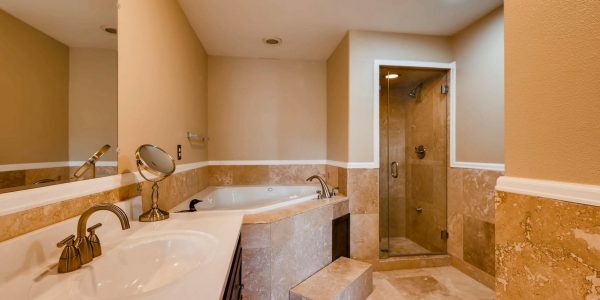 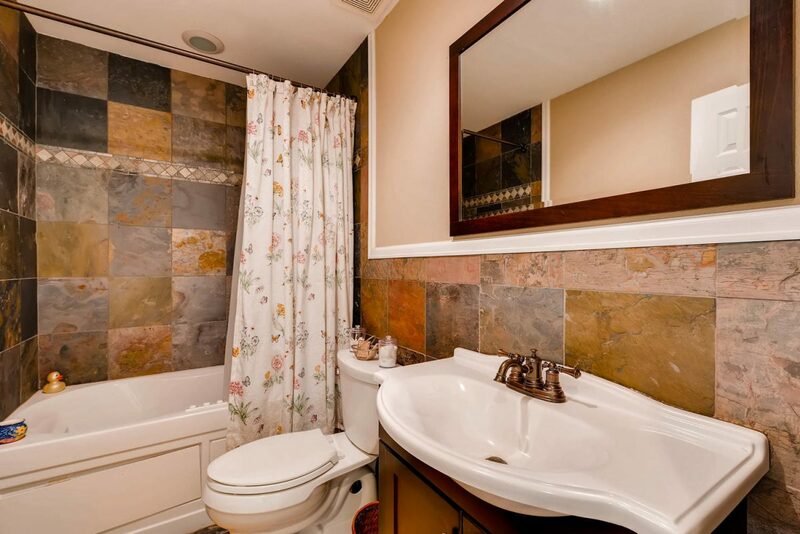 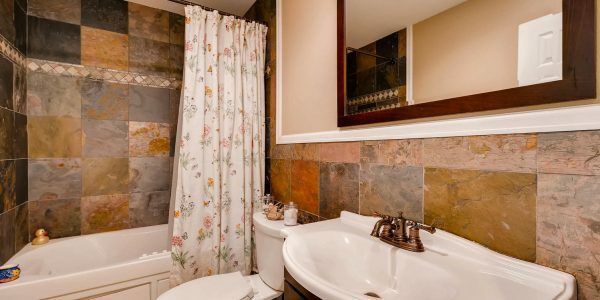 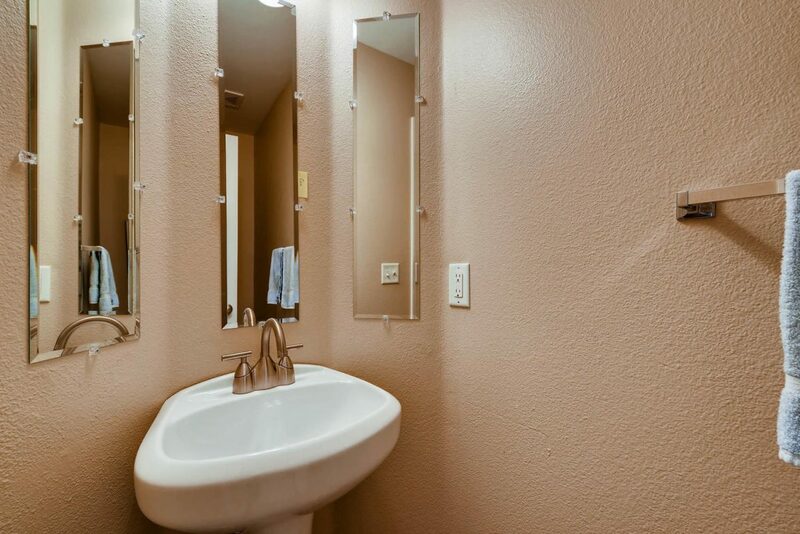 Two guest bedrooms with a remodeled full bath with a jetted tub.